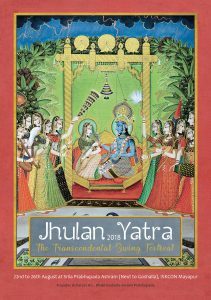 W e invite all of the devotees to come and take part in this years’ Jhulan Yatra festival. Adhivas will be held on Radha Madhava’s altar after Sandhya Arati, on Tuesday 21st August; then 22nd to 26th August is the festival at Jhulan Gardens [Srila Prabhupada Ashram, next to Goshalla]. The Deity Procession will leave the Temple at 4.45pm every evening bringing Sri Sri Radha Madhava to Their Jhulan, in the Jhulan Gardens. Please come and take part in this wonderful 5-day festival of swinging, lamp offerings, kirtan, kathar and Prasad. On Balaram’s appearance day we would like to invite the children to create something unique [picture/poem, etc.] and beautiful to display for the pleasure of Lord Balaram and all the devotees. You should bring your tribute the day before Balaram Purnima, to the ‘Donations’ desk [in the Jhulan Pandal]. Bhoga offerings should be brought to the Pandal before 6pm every evening. 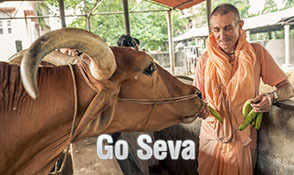 1: This year, in order to give the community devotees an opportunity to serve Sri Sri Radha Madhava, we will have 3 different groups each evening sharing the service of distributing Prasad to the visiting guests/devotees.So whether you are part of a group or an individual, if you are interested please contact us to choose your day and time, on 9333744558. [i] Sponsoring/part sponsoring an item from our donations list. 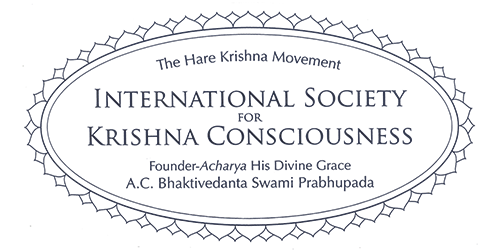 [ii] Donating a percentage of your income this month for the pleasure of Sri Sri Radha Madhava. May you receive the blessings of Sri Sri Radha Madhava.